Lovingly: Gurudass Kaur – A new production! This album offer over 84 minutes of the finest mantra- and chant music, including some very special hits, but also a 28-page full colour booklet containing all mantras and movement-meditations, the “Celestial Communications”, explained in five languages: english, german, french, italian and spanish. 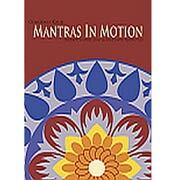 Mantras with mudras (DVD video plus audio CD) – is the healing science of today and tomorrow. This technique is a unique tool capable of bringing relaxation to the mind and body amid the stress and pressure of daily living. Also referred to as Celestial Communication, this practice uses choreographed hand and body movements to express the essence of the mantras that are being chanted. Mantras in Motion invites viewers to experience the transformative effects of healing mantras coupled with powerful mudras. Adi Shakti : Gurudass – Gurudass Kaur sings with beauty and power in a call and answer style with a group of singers on the ‘Adi Shakti’ mantra. Enchanted : Gurudass – A collection of potent and powerful chants with Santana-like guitar in this Latin mix of mantras interlaced with flute, acoustic and flamenco guitar, tabla, doumbek, cajón, clay pot, and harmonium. Circle of Light : Gurudass – Life is a flow. The circle represents the eternal and unbroken flow of the spirit. Listen, meditate, and join in singing these ancient sacred mantras. Guru Guru Wahe Guru Guru Ram Das Guru : Gurudass – This album is part of the Spirit Voyage Mantra Series. Longing to Belong : Gurudass – Mantras from the tradition of Bhakti (devotion). This great new addition to Gurudass Singh & Kaurs collection of CDs has easy to sing very peaceful mantras. Gurudass Collection : Gurudass – This special grouping contains 3 CDs from Gurudass including Circle of Light, Adi Shakti, and Train to Amritsar. Asankh Naav : Gurudass – This album offers 3 very powerful and elevating mantra music recordings. Beautifully produced, with a blend of eastern and western instrumentation, this album is a jewel for meditation and relaxation. Train to Amritsar : Gurudass Singh, Gurudass Kaur, and GuruGanesha Singh – Taking the train to Amritsar starts a journey to the source of eternal inspiration…listening to the music and spiritual songs of Train to Amritsar transports you to a space where you can share in the experience. Ra Ma Da Sa Sa Se So Hung : Gurudass – This album is part of the Spirit Voyage Mantra Series.